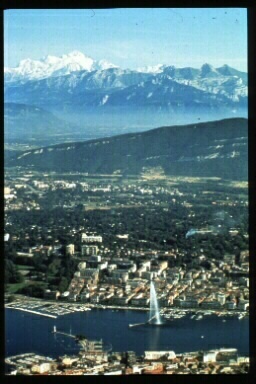 The 3rd Annual Meeting of the International Multisensory Research Forum will take place in Geneva, Switzerland on Friday, May 24th through Sunday, May 26th, 2002. The hotel is located just outside of Geneva, Switzerland and is approximately 15 minutes from the Geneva airport or Geneva's Cornavin train station. The hotel offers a complimentary shuttle service from the airport. We strongly encourage all attendees to stay at the Hotel Chavannes de Bogis, since a special rate has been arranged for the IMRF Annual Meeting. There is no convenient transportation between other hotels and the Hotel Chavannes de Bogis. Details of this rate are described with the registration information. See the hotel's website for more information and complete directions.